3 Bedroom Semi Detached House For Sale in Leicester for Asking Price £250,000. This appealing property occupies an attractive corner plot and offers scope to extend to the side (STPP). 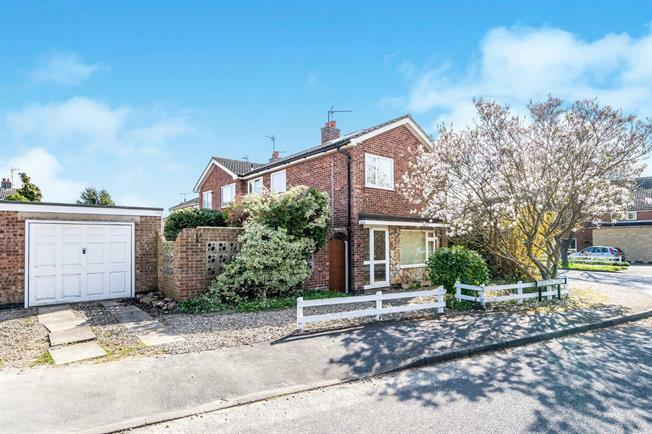 The property has been well maintained and is offered to the market with no onward chain. In brief the property comprises of lounge diner, kitchen, hallway, landing, bathroom, two double bedrooms and a single bedroom. Externally there is a low maintenance rear garden, detached single garage and driveway. Other main features include gas central heating, double glazing, modern boiler, built in wardrobes, electric oven, solar panel and believed to have been rewired. Viewing advised.